Horsepower Memories was on hand last week at the 2016 North American International Auto Show in Detroit. Fresh muscle, vintage horsepower, and new concepts were major attractions at this year’s show. The Big Three brought out many of their newest autos and new manufacturers were there to show off their latest concepts. This definitely was one of the best auto shows we’ve ever attended in Detroit. Detroit is the birthplace of the muscle car and there is no better place to see what’s new and upcoming. 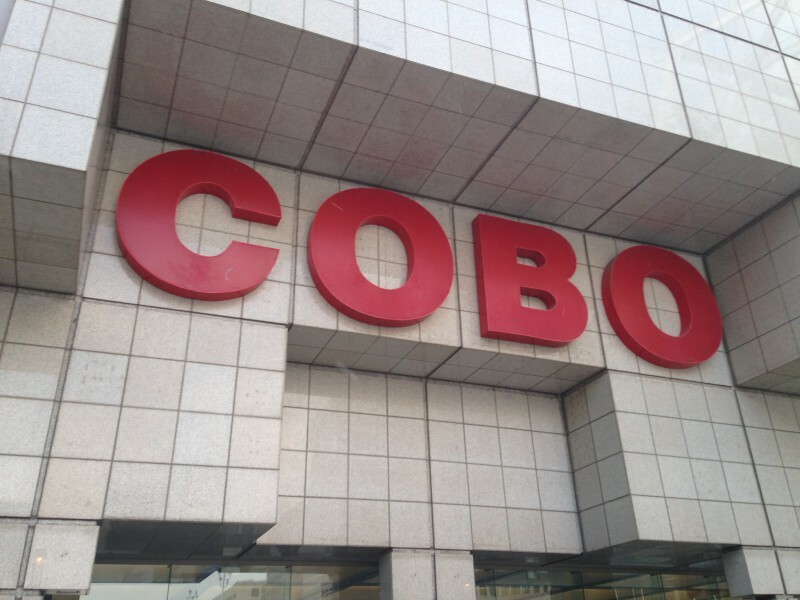 It may have been 15 degrees outside but the excitement heated up once inside Cobo Hall. Check out all the great things we got to see. Chevy showed off this all-new 2016 Camaro SS. The aggressive styling is really eye-catching but we really came away impressed with the interior. Rotating air and heating control dials on the vents replace buttons and switches that were previously used and give the dashboard a clean and modern look. The flat-bottom steering wheel and reconfigurable instrument cluster really set this Camaro apart from its predecessor. Dodge’s latest Viper is coiled and ready to strike! The Viper ACR commands attention with its radical rear wing and front splitter. The ACR is the fastest street-legal Viper track car ever. This Viper ACR spews its venom courtesy of a 645 horsepower V10 engine. It looked quite menacing in its blue paint and white stripes. The Ford GT was the star of last year’s show. The same can be said for this year as well. This carbon fiber bodied exotic is powered by a 3.5-liter EcoBoost engine producing over 600 horsepower. Those air inlets just ahead of the wheels not only add to its aggressive looks, they also feed air to the intercoolers and provided the engine with fresh air. We can’t wait until these finally hit the streets. Cadillac’s latest V-Series lineup was well represented at the show. Their arsenal of luxury horsepower included the twin turbo-powered V6 ATS-V and the 640 horsepower V8-equipped CTS-V. Don’t let their good looks fool you. These two performance sedans are equally at home whisking you to work during the week and tearing it up at the track on weekends. Two Jekyll and Hydes that are not afraid to show their refined and dark sides. Over at the Dodge booth, we find the Charger and Challenger Hellcats out stalking their prey. Decked out in bright red, these two beasts are out for blood. There is nothing quite like them on the road today. Both come equipped with a 707 horsepower, supercharged Hemi V8. They may be the epitome of excess, but isn’t that what the muscle car was really all about to begin with? Vintage Fords were also on display. This 1965 Shelby GT350 had a long history of winning races on the SCCA circuit back in the 1960s. It was restored to celebrate the Mustang’s 50th anniversary and netted Best in Class at the 2014 Amelia Island Concours D’Elegance. The 1967 GT40 MkIV has quite a history as well. Dan Gurney and A.J. Foyt, drivers for the Shelby American team, won the 24 Hours of LeMans in this car in 1967. Corvettes were also out in force at this year’s show. The Z06 C7.R Edition is limited to only 500 examples and available in Corvette Racing Yellow Tintcoat and black. Under the hood lurks a 650-horsepower supercharged LT4 engine. If that not enough power for you, this blue Lingenfelter Z06 comes with a 6.2 liter engine spewing 720 horsepower and 730 lb-ft of torque. This Jeep Grand Cherokee SRT8 would make the ultimate road trip companion. Think of all the places it could take you. With 475 horsepower at your beck and call, those winding backroads you like to explore just got a lot more exciting. Heck, this would make the daily commute a lot more bearable and enjoyable. Imagine that! The new Shelby GT350R was an intimidating site over at the Ford booth. This Race Red beast is the most track-ready Mustang ever created. Features like carbon fiber wheels, MagneRide Damping System, and Integrated Driver Control System give the GT350R what it needs to win on the track. There were plenty of concepts to see but this one really stood out. Check out the VLF Force 1 V10. This two-seat, carbon fiber supercar is powered by a 745 horsepower V10 engine. It was designed by Henrik Fisker. And man, is it fast! The Force 1 V10 can sprint the quarter mile in only 3 seconds and has a top speed of 218 mph. These are just a few of the awesome muscle cars you’ll see at the show. The show runs through January 24th so don’t wait. For more information, log on to naias.com for more information, show times and tickets.